5 Ways to Keep Your Dogs Entertained in Winter! It's winter time people; so get wrapped up in your favourite jumper, make your hottest chocolate, and prepare for the cold weather! While it’s easy for you to hibernate yourself indoors until the snow melts, it’s not so easy for your dog to do the same. Dogs have endless amounts of energy that they need to release, and that’s not going to happen if they’re cooped up inside with nothing to do all winter. So, to help keep your furry pal active and entertained throughout the cold months, here are 5 ways to keep your dog entertained this winter. Practice Their Training and Get Them Working! …But all work and no play makes Jack a dull boy! So, if you don’t want your dog to go stir crazy and chew up your favourite rug, keep them happy with some fun games. Playing some fun games with your dog is a great way to keep them inside the house and entertained. This can be simple games like hide-and-seek or “find it”. 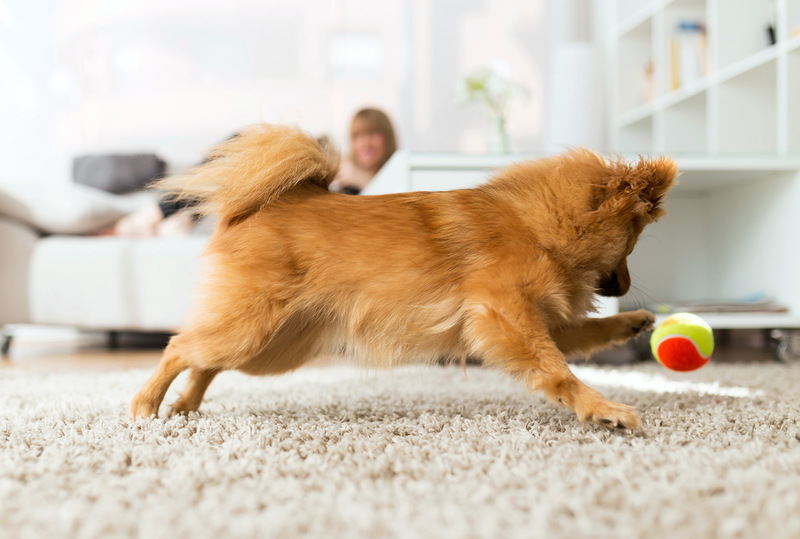 If you have some long or wide spaces in your house, you can even play their favourite game of fetch! There’s nothing like a baffling brain teaser to keep you busy, and that goes the same for your dog too! Using puzzle toys and occupiers that make your dog work for his treat will keep both him and his mind active and entertained. This can range from toys like TastyBone’s own Nylon Knotted Bone or Nylon Quattro Bone, or more difficult pieces such as tricky treat balls or interactive puzzles. You can always teach an old dog new tricks, so take advantage of the winter weather and sign up for a class! Winter is a perfect time for you and your dog to spend some quality time together and take a class. There are a wide number of classes you can sign up for that can teach you and your pooch a thing or two, or keep you both fit and active. Classes range from indoor activity and swimming classes, flyball classes, or dog owner meet-ups to get your dog socialising. Get Out in the Snow! Yes, it’s cold and wet, and you don’t like the snow, but that doesn’t mean your dog feels the same! Plenty of dogs love to dive into the snow and go wild so you might have to grit your teeth and get yourself out into the cold. The winter weather may be a hindrance to your daily dog walk, but your furry buddy still needs to get outside and stretch his legs every now and then. So it’s time to put on your biggest coat, get your boots on, and brave the snow for the sake of your four-legged friend! And even if it there’s not much snow in your area, there’s plenty of spots around the UK where your dog spend a few hours rolling in the snow.